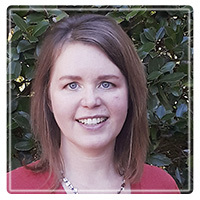 Charlotte Therapist: Natalie Huston - Therapist 28226. Send A Message To Natalie. I love seeing a redemptive process unfold as people grow through counseling. I am interested in your well-being as a whole person: physical, emotional, mental, spiritual, and relational. Each of those areas affects the others, and sometimes several areas need to be addressed. I focus on your unique process, relationships and attachments, emotions, and look at how past experiences impact the present functioning and relationships. Certified in PREPARE/ENRICH relationship assessment for couples and relationships. We are made for relationship and attachment, and we all have a core desire to be loved, accepted, and valued. We all also have a core struggle in life, and we seek to solve it sometimes in maladaptive ways that negatively affect self or others. We long for restoration and healing from the past and current pain of life. I believe in redemption, and that counseling is one relationship that can facilitate the path toward hope, peace, joy, love, connection to self and others, and healing from painful life events. True, deep healing is a process which looks different for each person, and can be vary in length depending on your unique journey. Symptoms are not the focus, they are alarms that point to the real, deeper issue. Change comes through understanding the source of the problem, and tending to the needs of our body, mind, and spirit. We also grow when we engage with how we've been affected emotionally and relationally, and in how we respond to what we are experiencing. To assist with your journey, I may offer you coping skills, offer education, help you express struggles, or occasionally suggest ways to work on things outside of session. Most of all, I provide a place to be real, and where each person is valued. This space is one where you can find freedom and grace in the midst of life messes. We journey together through discovering, learning, processing, growing, and healing in the ways you need.